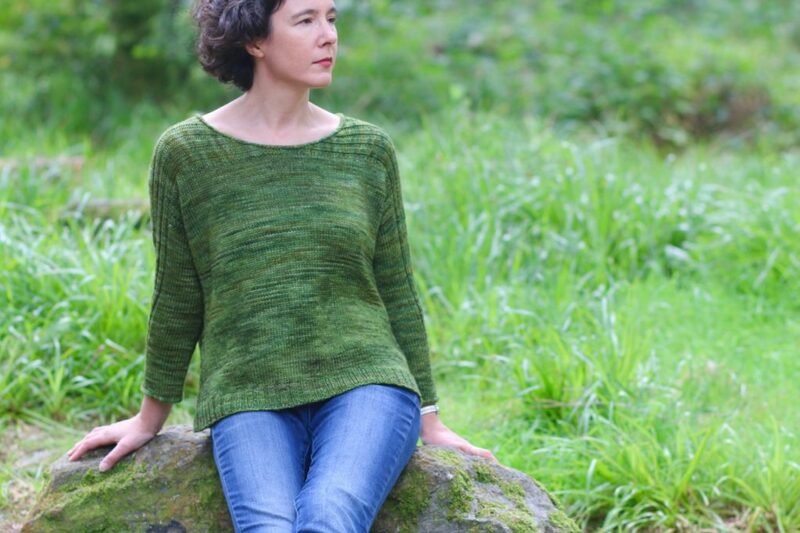 So some of you may have spotted that I’m launching a second KAL, Mossy Way, in conjunction with Love Knitting. Last year The Yarn Collective was launched which included the Bloomsbury DK yarn that I curated. 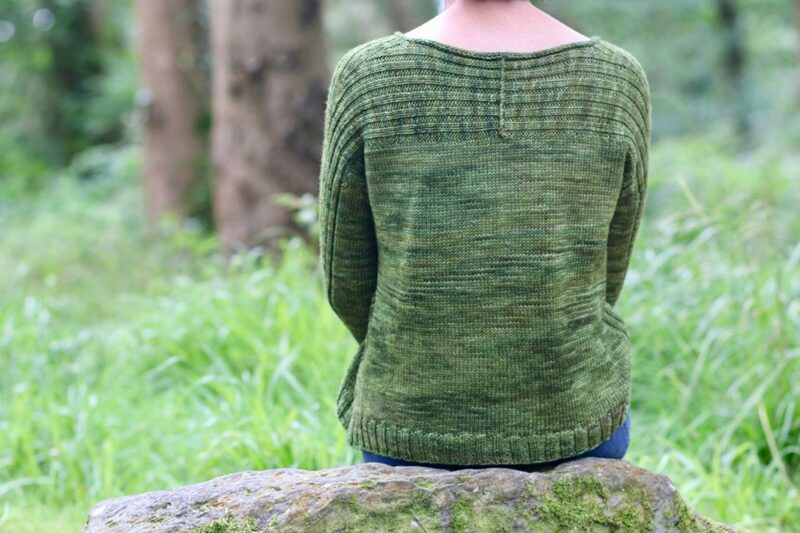 Initially I did several designs for the yarn and since then several designers (including Woolly Wormhead, Thea Coleman and Suvi Simola) have done some amazing designs! I really loved the colours that we created and I very much wanted to get back and give the yarn a lot more attention. A KAL is a great way of doing that as you really focus on the yarn, techniques and process. Usually when I do a KAL it’s run through my ravelry board but as this time Love Knitting are selling the yarn and pattern we are changing the location where things happen. All of the chat now will be happening on The Yarn Collective ravelry board, as this is a fairly new board it will be much easier to keep track of what’s happening and it makes it a great place to chat with other knitters. 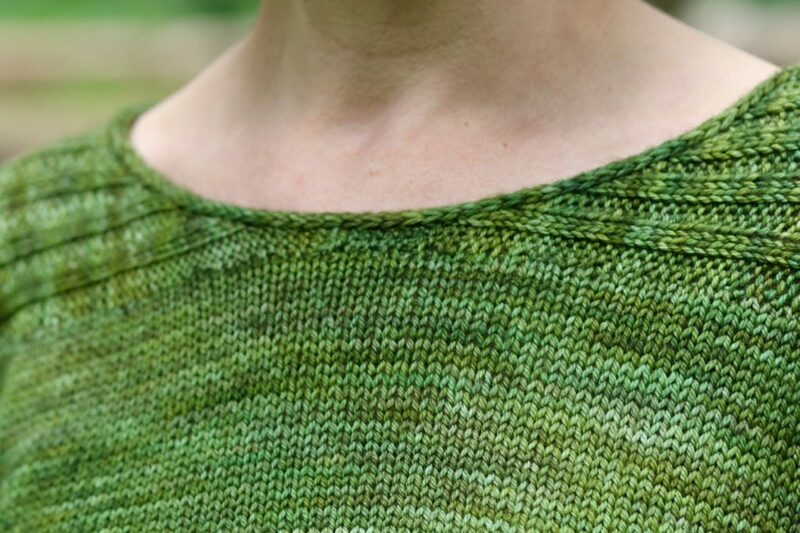 This sweater isn’t complicated but if you’re new to sweater knitting it can be intimidating. I wanted to make it more accessible for novice sweater knitters which means that there are going to be lots of video tutorials! Video was a good way of working through the steps and explaining details visually. If you’re working along with us there are a few different ways of access the videos; you can go straight to the Love Knitting tutorial page here, I’ll also add them here (so I’ll also have them for the future) and you can always access them directly on my youtube channel. So how is the sweater constructed? If you look carefully you can see that the top portion is knit from side to side. You start with the right side at the center of the neck, first increasing along the neck and then when the back and front are joined you work decreases within the ribbing along the top of the shoulder. Once the right side is finished you pick up stitches for the left side. I picked them up from the wrong side which gives you a visible ‘seamline’ You can’t see it much on the front as it’s just a few stitches but it’s much more visible from the back. After this you work the body down, initially separately, and then in one piece with ribbing and cables at the side of the body. 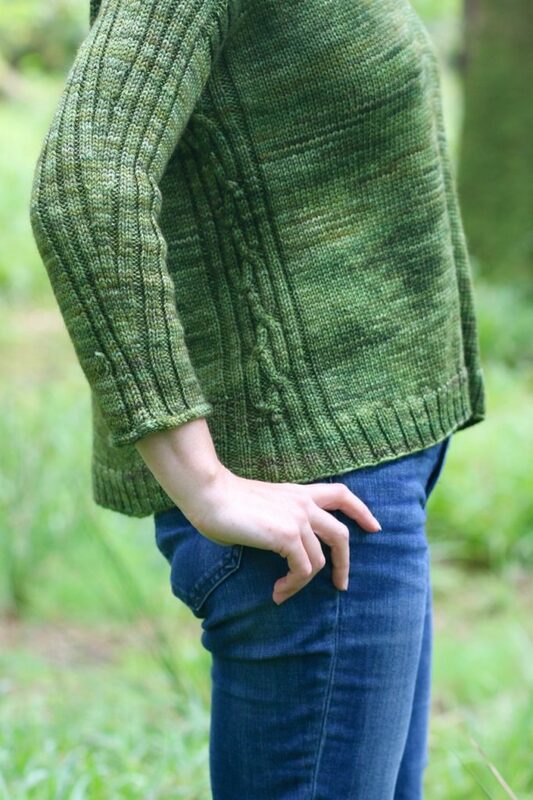 After that the sleeves are worked from the top down with ribbing decreases continuing from the shoulder. There are no complex techniques used but I’ve put together short videos on the following so you can see how it works: neck increases, shoulder decreases, picking up stitches from the wrong side, alternating yarns, joining the body and finally picking up the sleeve stitches. I hope you come join in on the KAL; remember if you fall behind I’ll still be dropping into the board to answer questions and all of the videos will remain accessible so you can work along at your own pace! 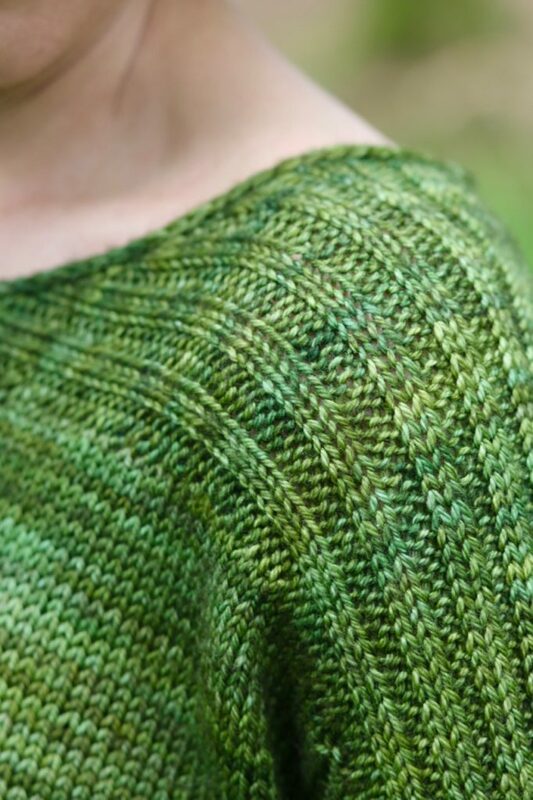 What Bloomsbury DK colour do you think you’ll knit your Mossy Way in? I’m in with this lovely design. I’ve ordered Russet. ← Pistachio Saffron; Bonus Tutorials!